CGNet Swara has been working with the Gond community since 2014 and believes that creating relevant Gondi language content and using modern technology to bring it to people is the only way to ensure it can survive and flourish. The effort in translating children's books to Gondi with StoryWeaver involves creating content for children, who are critical for any language's long-term survival. The translated books will be distributed to children in schools, while the audio version will also be played over Adivasi Swara. Microsoft Research India and IIIT-Naya Raipur are also planning to use the translation of these books as data input for a Gondi machine translation algorithm that can facilitate the languages use on the internet and other forums. Devansh Mehta from CGNet Swara writes for the StoryWeaver blog. The Gondi speaking Adivasis (tribals) residing in 7 states across central India face a unique problem. They are not able converse with each other because they speak Gondi influenced by the state languages – Andhra Adivasis speak Telugu influenced Gondi, Maharashtra Adivasis speak Marathi influenced Gondi, etc. Beginning in 2014, the Adivasi community has mobilized themselves to save their language and culture. Over 8 workshops, Gondi speakers from all 7 states got together to create the first standard Gondi lexicon. In the 9th workshop, Gondi speakers met with researchers from Microsoft Research India to discuss how their language can be taken online. The consensus at the meeting was that before any work could start, there needed to be 100,000 lines of translation from Gondi to a mainstream language. In the 10th and most recent workshop with Pratham Books' StoryWeaver team, over 20 Gondi speakers from 3 different states gathered together from September 18th to September 28th to translate children’s books from Hindi to Gondi. The purpose of the workshop was two-fold: creating a repository of children’s stories in Gondi which can be distributed in schools, and gathering enough data to build a machine translation tool. The workshop had a good mix of people from a variety of backgrounds. There were some attendees like Suresh Kumar Katrani who were pursuing their master’s degree in physics and had taken leave from his job to attend the workshop. As a high school teacher in Bastar, one of the largest Gondi speaking areas, Suresh attended the workshop as he felt their language was diminishing and would die out with his generation unless the community pulled together and did something. Most participants were unlike Suresh and had never even seen a computer prior the workshop. They had been recruited through CGnet Swara’s yatra team, a group of actors and musicians who travel and perform at remote, Gondi-speaking villages. One of the participants who joined the workshop through the yatra was Kumari Shashila, a 5th grade dropout. 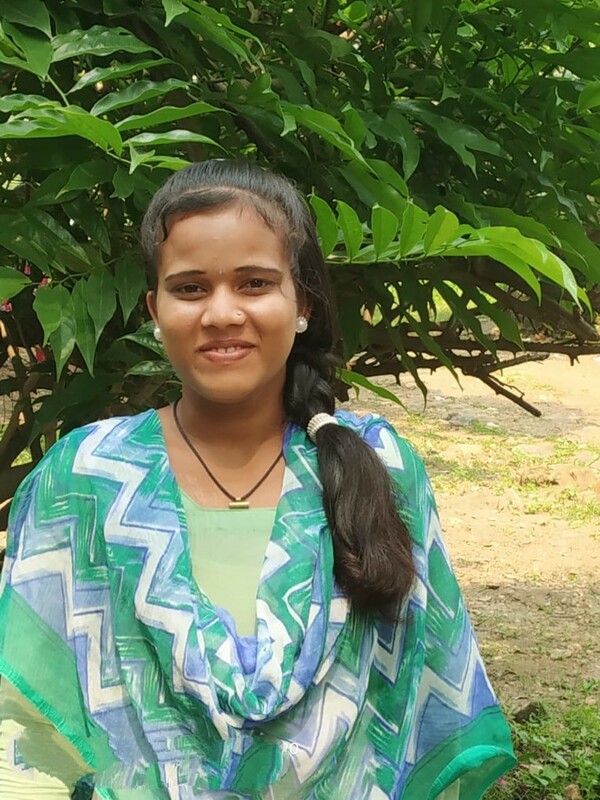 Due to a basic knowledge of Hindi, her translation skills were rudimentary and she had to work with people like Suresh to understand the meaning of words that needed to be translated to Gondi. However, the participation of people like her ensured that the children’s books and the machine translation tool would accurately mirror the Gondi spoken by the vast majority of Gondi speakers, not just the affluent, educated sections. Over the course of the workshop, a total of 400 children’s stories were translated to Gondi, out of which 175 have already been put online as of today. As most of these communities lack Internet access, many of these books were printed and given to the workshop participants to take back to their village. A total of roughly 10,000 lines were translated over the course of 10 days. You can read the stories translated at the Gondi workshop here.